Milan (English: /mɪˈlæn/ or US: /mɪˈlɑːn/; Italian: Milano [miˈlaːno] ( listen); Lombard: Milan [miˈlãː] (Milanese variant)) is the capital of Lombardy and the second most populous city in Italy after Rome, with the city proper having a population of 1,360,422 while its province-level municipality has a population of 3,228,000. Its continuously built-up urban area (that stretches beyond the boundaries of the Metropolitan City of Milan) has a population estimated to be about 5,270,000 over 1,891 square kilometres (730 square miles), ranking 4th in the European Union. The wider Milan metropolitan area, known as Greater Milan, is a polycentric metropolitan region that extends over central Lombardy and eastern Piedmont and which counts an estimated total population of 8,173,176, making it by far the largest metropolitan area in Italy. The city has long been named fashion capital of the world and the world’s design capital, thanks to several international events and fairs, including Milan Fashion Week and the Milan Furniture Fair, which are currently among the world’s biggest in terms of revenue, visitors and growth. It hosted the Universal Exposition in 1906 and 2015. The city hosts numerous cultural institutions, academies and universities, with 11% of the national total enrolled students. 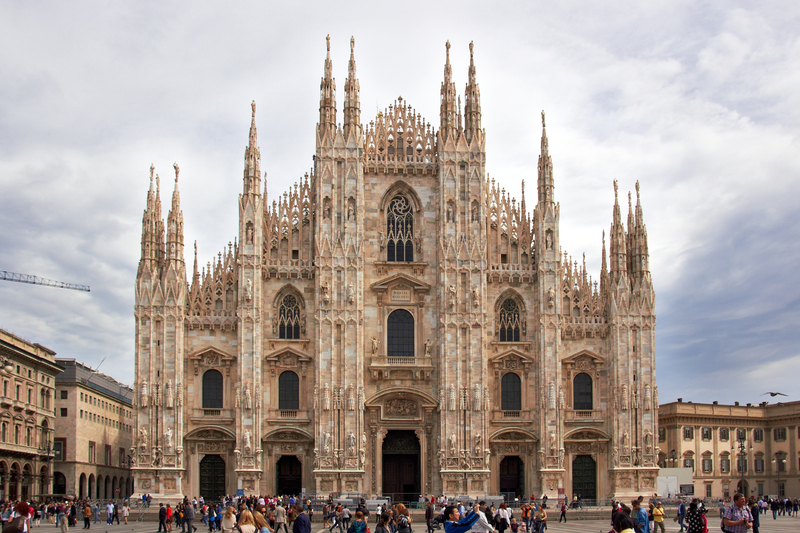 Milan is the destination of 8 million overseas visitors every year, attracted by its museums and art galleries that boast some of the most important collections in the world, including major works by Leonardo da Vinci. The city is served by a large number of luxury hotels and is the fifth most starred in the world by Michelin Guide. The city is home to two of Europe’s most successful football teams, A.C. Milanand F.C. Internazionale, and one of Italy’s main basketball teams, Olimpia Milano.